Go Laadli believes in the vitality and dynamic potential of our girls and is committed to empowering them to become problem solvers, leaders and change makers. We do that through investing in their education, by providing life-changing leadership opportunities and catalyzing changes in social attitudes. It has become abundantly clear through our interactions with girls that they have the thirst, the drive and the passion to get into the reeds and identify pertinent issues, design solutions and create change within their communities. Without opportunities like ours their potential remains untapped, they remain invisible and their voices remain subdued - let’s give them a chance to raise their voice, to be visible and to be active agents of change; let’s provide them access to support and tools for succeeding and to become change makers and leaders that they are meant to be. Provided the right opportunities, what they can achieve is truly limitless. Go Laadli is the start of a movement of women problem solvers, change makers and leaders - a movement that will create systemic change, shift mindsets and tip the culture towards greater women leadership and we cannot do it without you. Tell Your Friends: Please share this Campaign on Facebook, Twitter, email, company mailing lists—whatever you can do to help us get the word out! 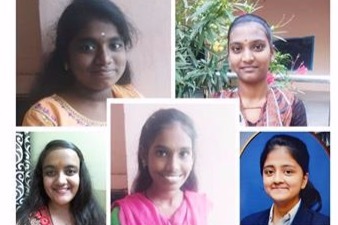 The 2018 Go Laadli - Lead Like a Girl Challenge Winners! Help us empower more young women to be agents of change!